A glorious part of the Indian musical tradition is the Indian stringed instruments and the virtuousity of the musicians that play them. 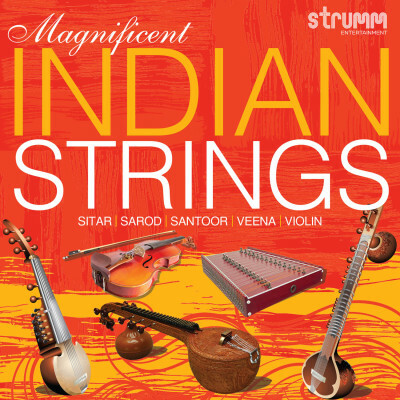 This collection designed for the musically curious listener of today features the Sitar, the Sarod, the Santoor, the Veena and the Carnatic Violin. The sound design is modern and the soundscape alternates between dreamy originals and refreshing re-creations of the classics. A great album for a relaxed evening.